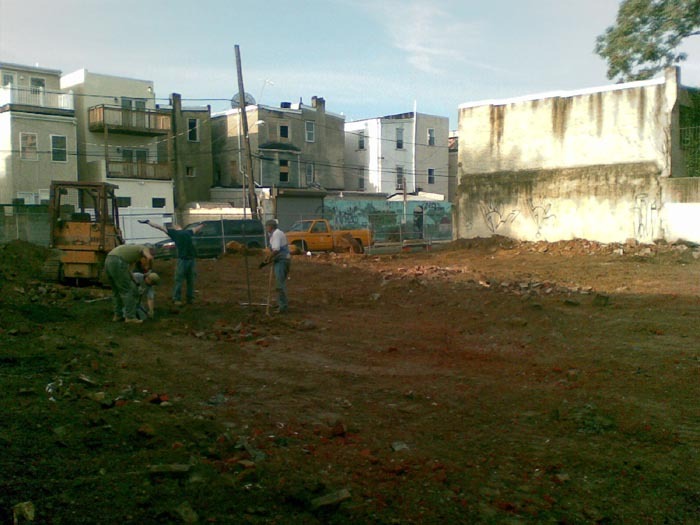 Alan Had secured permission for a construction site in south west Philadelphia but due to work obligations wasn't able to dig it so he told us to go have at it. It was going to be Doug and myself along with George and Russ, And Gary was going to come give us a hand. As usual Doug and I were on time and the first to arrive at the site. I quickly probed out a couple brickliners. We picked the ash Filled one and then George and Russ arrived. We started opening it up then Gary showed up and gave us a hand. 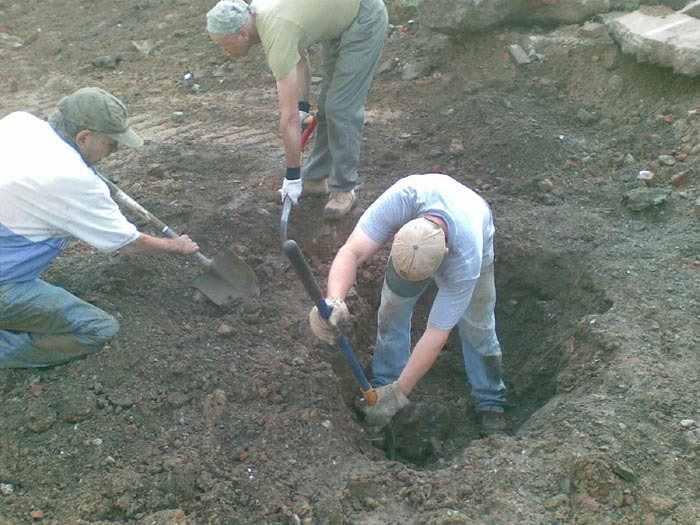 I was probing on the site and found a 3rd pit but it was half under a large wall so we decided to leave it alone. The pit we were digging was filled with ash and went down quite quickly. we set the tripod up at about 5 feet and started bucketing dirt. 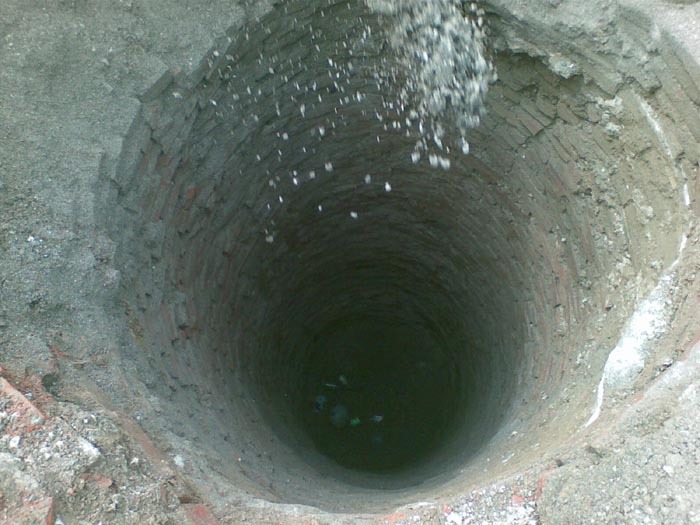 In a few hours we were 20 feet down and about an hour later we had taken half of the remaining bottom 6 feet to the bottom and showed that this pit had no trash layer and was completely cleaned out. 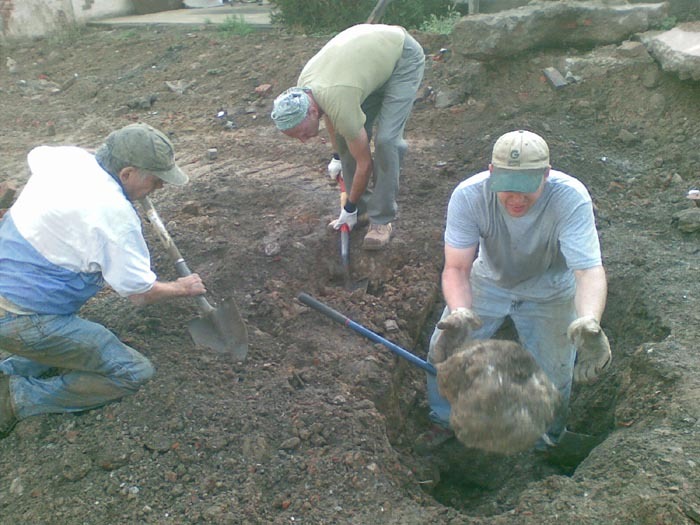 We filled it in and were finished by 2:00 so we scouted around the city a bit looking for something else to dig. with no luck we headed home early.